MORRISSEY MANAGEMENT’S ELISE MCCANN PREMIERES AS ‘MISS HONEY’ IN MATILDA THE MUSICAL AUSTRALIA! Morrissey Management’s beautiful Elise McCann, dazzled the red carpet at the Premiere of Roald Dahl’s Matilda The Musical in Australia in a stunning ‘Miss Honey’ inspired Jennifer Regan couture gown, sparkling Jan Logan jewels and a divine pair of Sophie Cox heels. 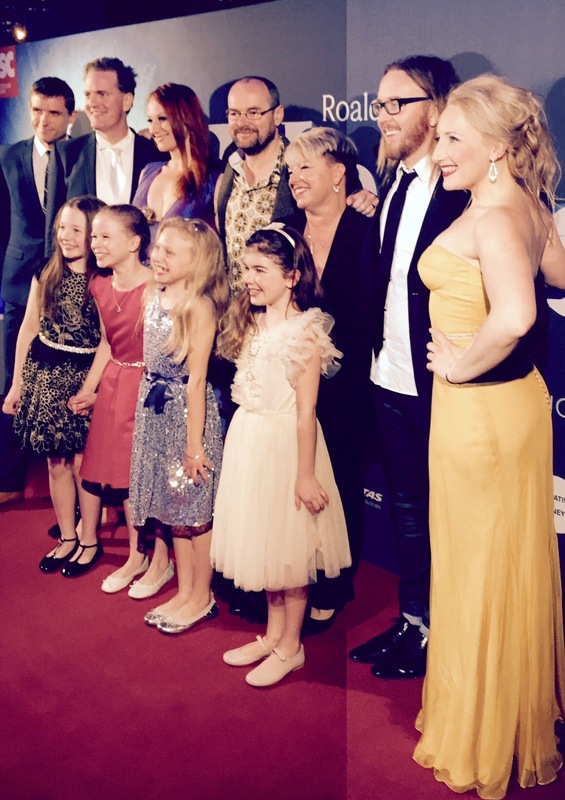 Premiering to a star-studded audience, the opening night of Matilda The Musical wowed the crowd, with the cast receiving a standing ovation with Elise’s portrayal of ‘Miss Honey’ described as “pitch perfect” by The Guardian’s Nancy Groves. Pictured: Morrissey Management's Elise McCann with Tim Minchin and the cast of Matilda The Musical Australia.